Any delay in the transportation of urine specimen to a laboratory may result in either a proliferation or decrease of bacterial levels and may lead to erroneous results. The effect is more significant if the specimen is left at room temperature. The common practice is to place the urine specimen under refrigeration prior to sending it to the laboratory. 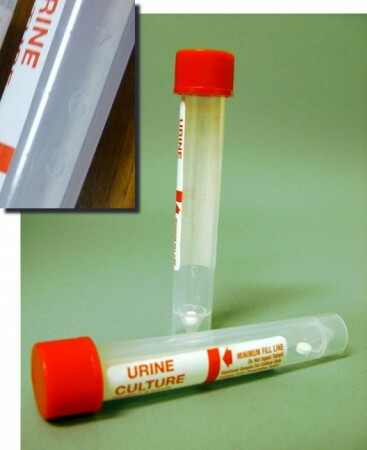 The Urine Culture Vial is designed to preserve urine specimens by the use of specially formulated powder eliminating the need to store specimens under refrigeration. The chemical preservative will minimize proliferation or decrease of bacteria for 72 hours.